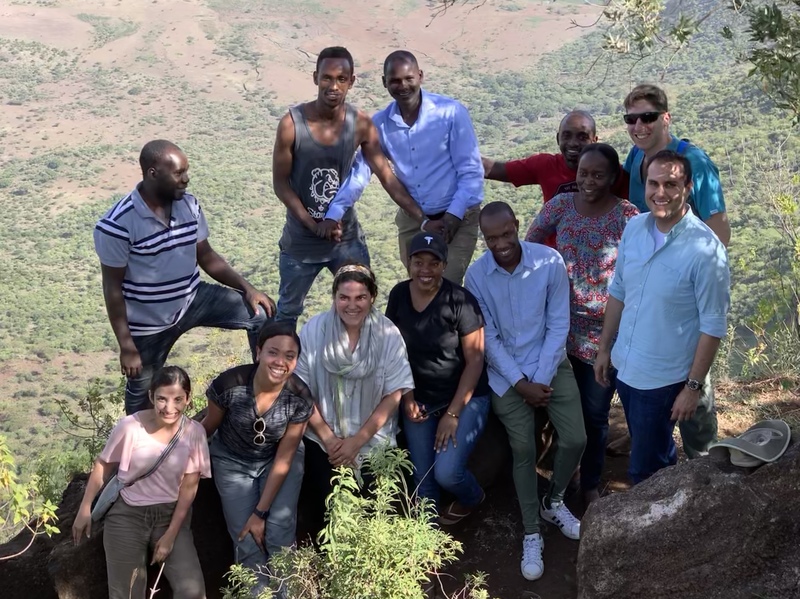 It was the beginning of our mobile clinic week and I think everyone was very much looking forward to heading out into the bush to explore more of the Tanzania they had now come to know. Adys, Jon, Sheena and Daniel had been here now for a full two weeks, while Marin and Dan had now been here for a week. Everyone was half way through their visit here and it’s always sad to reach that milestone. 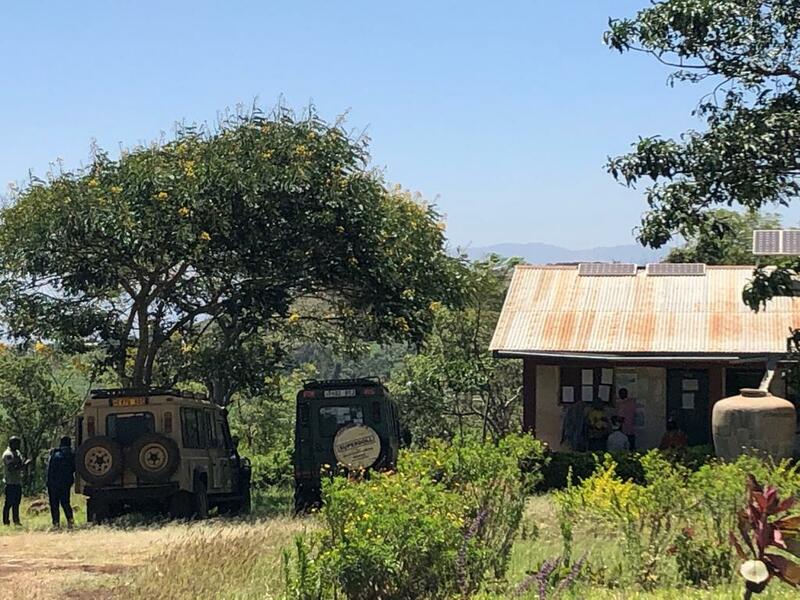 We had had a wonderful safari to Ngorongoro Crater yesterday with a wonderful sighting of two rhinos for a long stretch of time and very close, so everyone was still on a bit of a high from that standpoint. Our neurology mobile clinics were an offshoot of the larger mobile clinic that FAME used to do when I first came in the Lake Eyasi region where we would take the bus, a few Land Rovers, about 25 doctors, nurses, and other workers, as well as a ton of medical supplies and would spend a full week in the bush running clinics for the Datogo and the Hadzabe. These clinics were funded by a grant that lasted three years, but early on, Paula Gremley and her business partner, Amiri Mwinjuma, who worked in the area mostly helping disabled patients, suggested that I accompany them to the Mbulumbulu region of Karatu to provide neurological care to two villages there. This was in 2011, and I have continued to visit both Upper Kitete and Kambi ya Simba twice annually since that time. 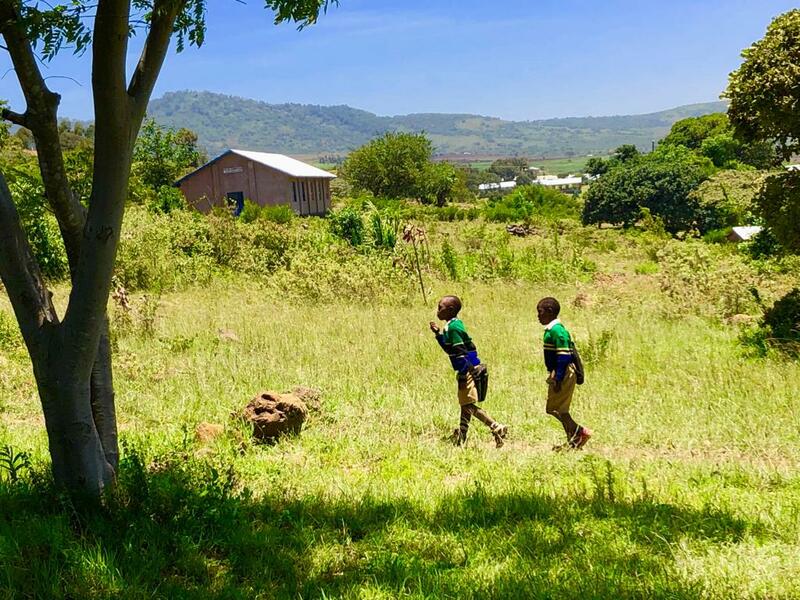 The Mbulumbulu region sits on a plateau bordered by the mountains of the highlands on one side and the escarpment of the rift valley on the other until in the distance, these two borders meet as the mountains descend directly to the valley floor below. This region was settled by the Iraqw and the fields here are incredibly lush and fertile with maize and other crops growing and being harvested. The soil is a gorgeous red-orange and motely tilled either planted or readied for crops. Most of the work here is done by hand or with teams of oxen and the fields are full of workers. It’s an incredibly different and tranquil world here and life is dictated not by the hands of a clock, but rather by the seasons and the angle of the sun. 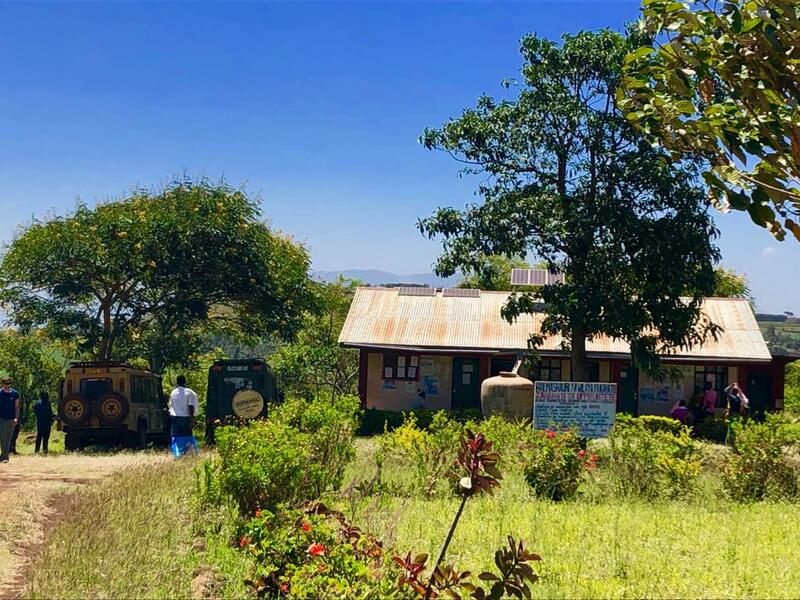 Life is changing here, though, even in the short time that I have been coming as at Kambi ya Simba there is now a beautiful dispensary and multiple buildings for all aspects of healthcare there. In 2011, I was in a field under the midday sun with a desk and chairs for my office and a waiting room that consisted of a log on which my patients sat. Upper Kitete, though, remains much the same as it was in 2011 when I started, save for a small building next door to the dispensary that we used on one occasion but haven’t since. Oh yes, there are new outhouses at Upper Kitete and a flushable, though squatty, toilet at Upper Kitete. It’s always a chore to get out of FAME on time for these clinics as somehow patients show up for us to see and that was the case this morning as they as Onealy, our radiology technician had contacted me on Saturday afternoon that the CT scanner was finally running and they had scanned a patient of ours who clinically had a thoracic myelopathy (spinal cord injury). Since we were at Gibb’s Farm in the afternoon on Saturday, I told him to have the patient return on Monday and we would also look at the scan, so I guess in some way, the patient there on Monday was partly my fault. In any event, her scan was normal meaning that we didn’t have a clear explanation as to what was causing her myelopathy. In going through the same exercise that we do here repeatedly, it was not merely a matter of sending her off for an MRI scan, as we would have to find something that we could treat here and that is a very “if” in East Africa. Rather than sending her for an MRI scan that would be very costly for her, we elected to do a lumbar puncture as this information would help us immensely. Sehewa, who is an amazing anesthetist here at FAME agreed to do the procedure for us and we gave him the labs we needed and asked him to contact me once they came back. What we hadn’t realized, though, was that we were heading to Upper Kitete for the day, where there is no cell service whatsoever. I finally received the information once we were heading home and conveyed our instructions to Sehewa later in the day and he contacted the patient. Usually, we take one vehicle with us on mobile clinic, but since we had such a large contingent of neurologists (four adult neurology residents and two pediatric neurologists plus me) it meant that we would have to drive two vehicles. 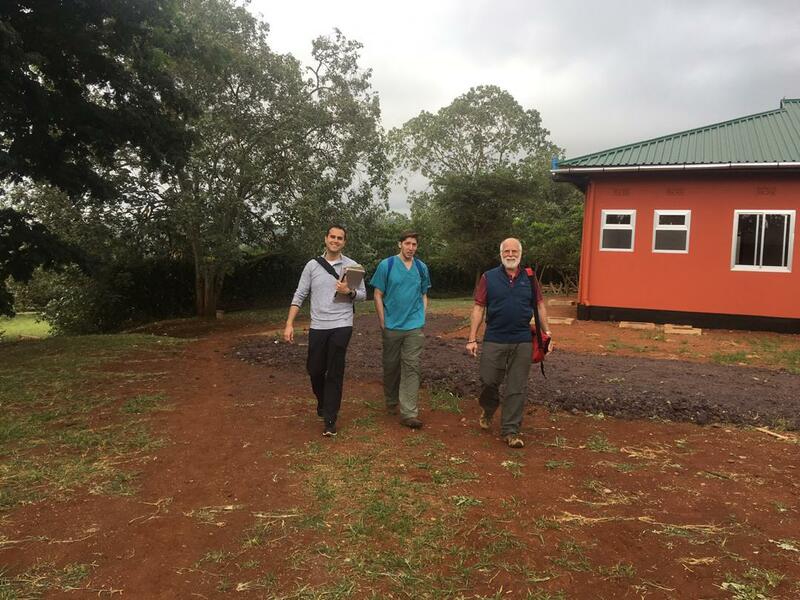 After finishing with our myelopathy patient and a pediatric patient that Marin saw as someone handed her the chart, we were finally on our way into the Mbulumbulu district. I drove our vehicle, which was perfectly fine since it wasn’t raining and the roads were clear, albeit a bit dusty. We didn’t arrive in Upper Kitete until almost 11 am which was certainly much later than we had intended, but we were perfectly fine working as late as necessary. Our turnout was a bit lighter than normal due once again to the planting season and the fact that most people were out in their fields rather than coming to see us. We had two rooms to work in, which was fine, and there were babies coming for their well-baby visits needing to be weighed, which is always such an enjoyable event. Each baby has their very own personalized harness that their mother has sewn for them and they are then attached to a “meat scale” where they swing in the breeze while their mother checks their weight. Some of the babies are completely unfazed, while others will scream bloody murder, but the most part, it all goes well and no one is worse for the wear. One patient today is a young adolescent girl whose mother reports that she had not been to school in a number of months and has lost a tremendous amount of weight due to nausea and vomiting. Not really a neurological problem, but worrisome just the same, so we decided to bring her back to FAME with us to check her blood work and have her seen by one of the general folks. It took some doing, but we finally convinced her mother that it would be the best for her. We loaded them in the other Land Rover as ours was full and started our trip home at the end of the day. Leaving town, though, I remembered that I had wanted to show everyone the “Overlook,” which is this amazing view from on top of the escarpment down to the valley below. Our patient and her mother decided to wait at their home briefly while we drove the short distance to the incredibly scenic sight and then returned to town to pick them up. Paula had first taken me to this place in 2011, and since then I have brought every group here so that they could also enjoy it. The drive home was uneventful except for the fact that the young girl had become very nauseated and was vomiting in the other vehicle. Thankfully, Sheena had brought enough Zofran with her to supply an army and quickly came to the rescue, running the medicine over to her. All seemed well, until we had arrived in Karatu and while the other car stopped to let out some of the FAME people, the girl and her mom also got out and were apparently planning to hop on a piki piki (motorcycle) to head back home for some reason which was never entirely explained to us. They were convinced to get back in and we eventually made it back to FAME where Marin escorted the young girl to the ward to be admitted and evaluated. We spent a relaxing evening at home taking care of busy work and devouring our dinner of roasted chicken, mashed potatoes and vegetables and prepared for the next day’s mobile clinic which was going to be back out to Upper Kitete. We had taken care of the Overlook today and tomorrow we were hoping to stop by the African Galleria on our way home so that everyone could look at gifts to bring home.